What a week! Our family started it on a high note with a long weekend trip to the Monterey Peninsula on the Central California coast. Food-wise, we made it out to restaurants a couple of times, but mostly, meals were reduced to stocking our mini-fridge with Trader Joe’s and making use of the little microwave. Such is how you keep sane when traveling with a preschooler. Such a gorgeous area, Monterey. 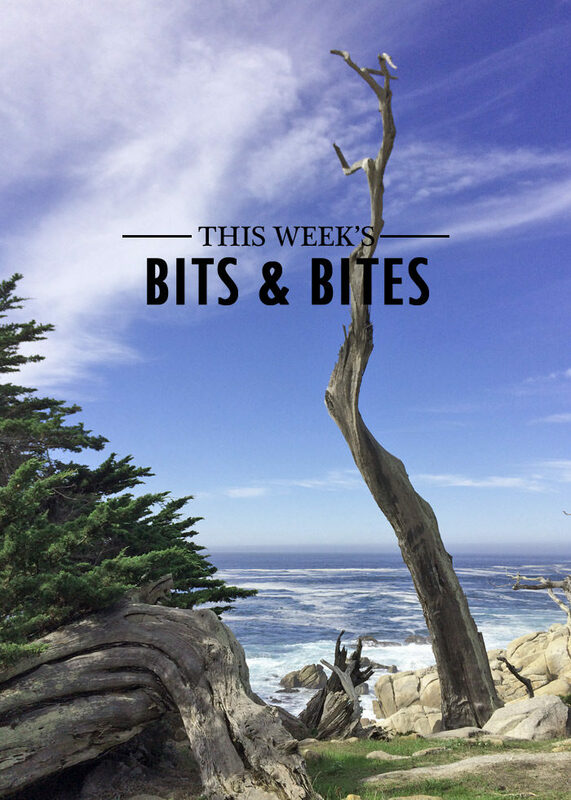 We stayed in Pacific Grove, an adorable town with loads of amazing old Victorian homes, priced so sky-high that you can’t even remotely dream of retiring there – as much as you’d like to. I do still love visiting. Our daughter adored the migrating monarch butterflies – thousands of them! – and the expansive, soft-sanded beach in Carmel. The ocean is intense all around the peninsula – no gentle waves lapping at the shore, nope, not here. You just can’t help but gape at the raw power of it all. Speaking of power, how about that election folks? Oy. But I’m pretty sure you’re not here to talk politics and I plan to respect that. Nine seven lives. Our kitten Blossom is doing better overall, though unfortunately she busted out her abdominal stitches. She had to go through another surgery and now she’s skulking around the house in a cone of shame. She should be okay, though. Oh Blossom. I’m preparing to host Thanksgiving and have been trying to keep myself from obsessing too much over the menu or the tablescape. I want everyone to feel a part of the meal this year and frankly, the less work for me and on the day-of, better. So I tried something new and asked everyone what they wanted to bring, and now I’m building the rest of the menu around that. Traditional with a meatless spin is the name of the game here, though I’m getting ready to share some more creative recipes in the coming weeks too! This week, I started cooking and freezing – the homemade cranberry sauce and vegetarian onion gravy are already in the freezer! Vegan Spaghetti Squash Pad Thai with Tofu from Pickles & Honey. YUM. Mashed Potato & Wild Rice Stuffed Mushrooms on Pioneer Woman Food & Friends. Say what?! Roasted Sesame Delicata Squash from Heather Christo. The cutest! This Creamy Cauliflower Soup from Gimme Some Oven. Perfect. Homemade Pear Cider from How Sweet Eats. Well this needs to happen. Salted Dark Chocolate & Dulce De Leche Tart from Love and Olive Oil. Wide eyes. And Cranberry Pecan Braided Bread from Floating Kitchen. Gorgeousness!